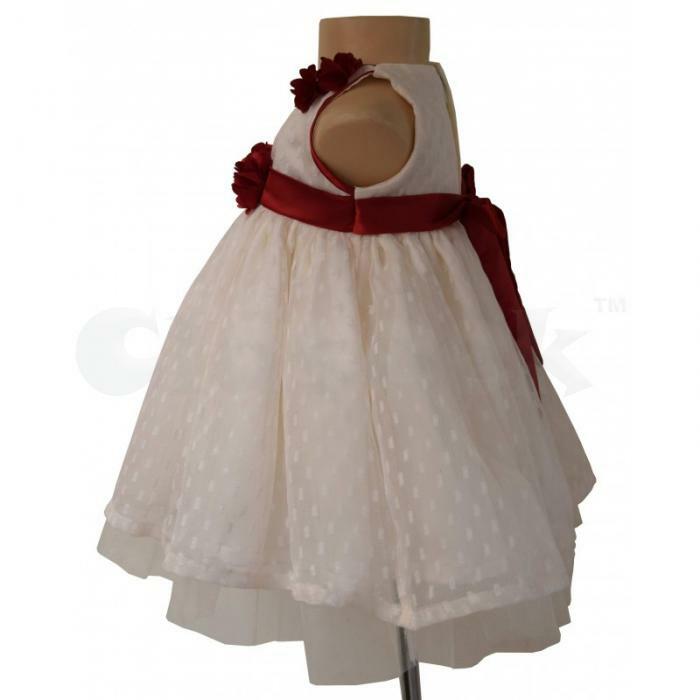 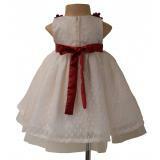 Dress your cute little baby girl in the most gorgeous skirts to keep them stylish and stunningly smart. 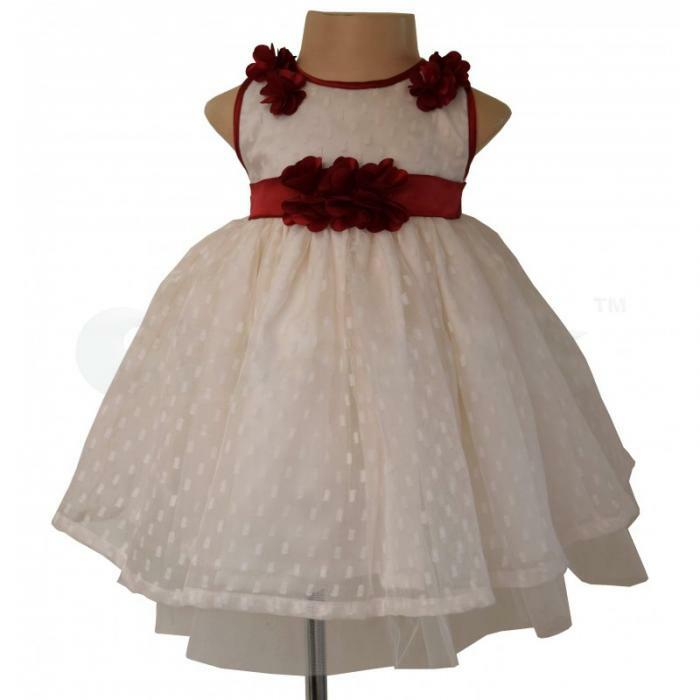 This gorgeous dress is the one for any special occasion. The bodice features a cream overlay with a red contrast around the neck and armhole. 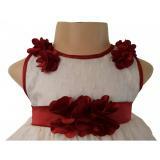 A red sash adorns the waist with rows of blooms. 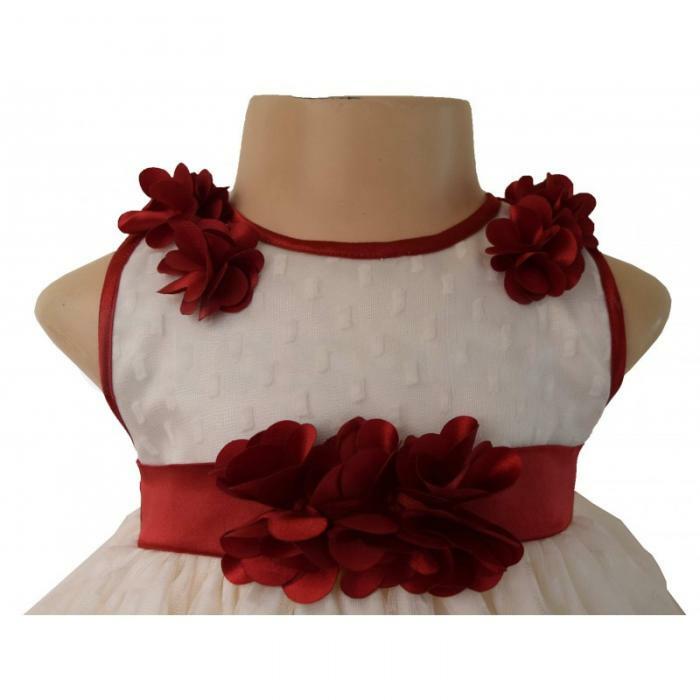 The neck and shoulder are adorned with handmade blooms. The layered skirt is just perfect for that twirl.